The Panora Phuket is an ideal option for anyone looking to enjoy perfect sea views from the comfort of their own apartment – at affordable prices. 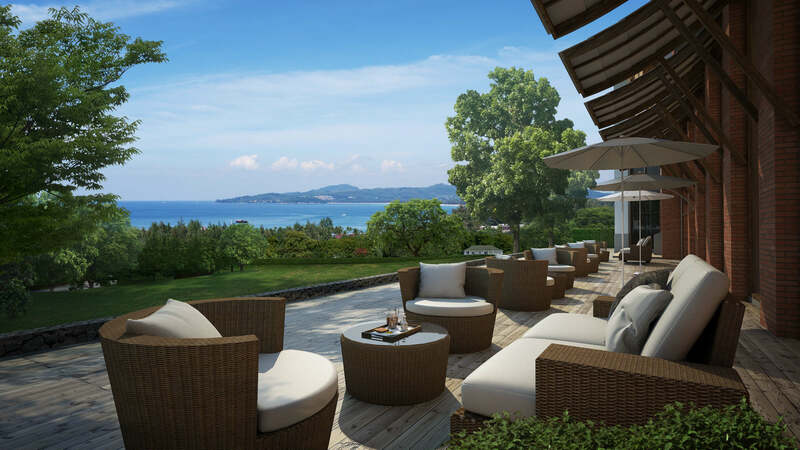 The project is located high on a hilltop in the Surin/Bangtao area in the centre of Phuket’s west coast. 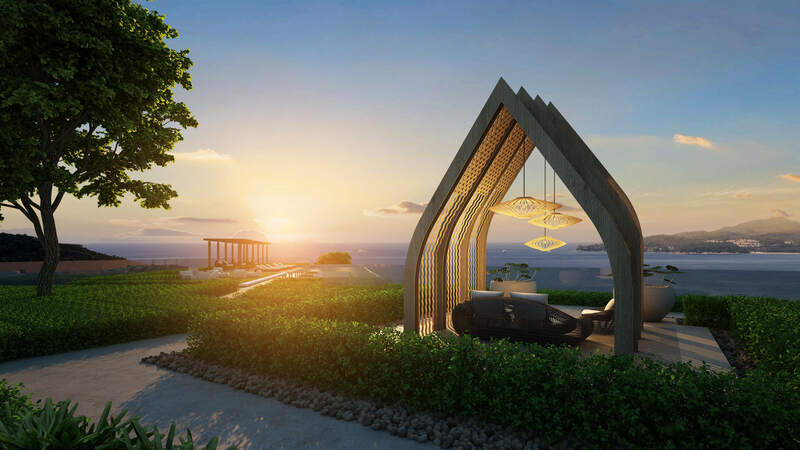 This ensures perfect unobstructed panoramic seaviews from most of the apartments in the project, while still offering quick and easy access to two of Phuket’s finest beaches. Bangtao Beach is located just 550m from here, while Surin Beach is 750m away. The development offers a free shuttle bus service to and from the beaches for even quicker and easier access. 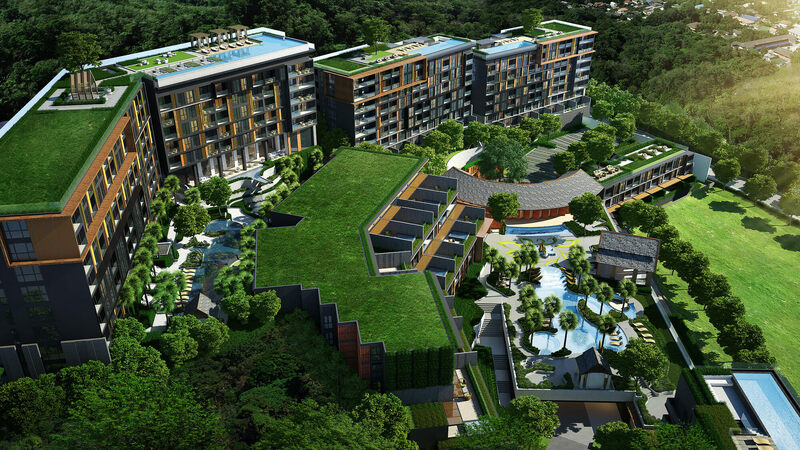 Designed as a mixture of authentic Thai art together with modern living, The Panora is set on a large plot of over 11-rai, much of which is filled with immaculately landscaped garden areas together with a variety of beautiful water features, including ponds, fountains and waterfalls. The project consists of 448 apartments spread throughout seven different, eight-storey buildings, with an additional building for parking. Whatever your budget, and whatever your needs for space are, you are sure of finding a suitable apartment at The Panora, as there is a very wide range of unit sizes and layouts for buyers to choose from. One bedroom apartments range in size from an affordable 35.9m2 up to a huge 92.9m2 unit. There is a similarly wide range of two-bedroom/two-bathroom apartments to choose from as well – ranging from 53.9 – 166.9m2. 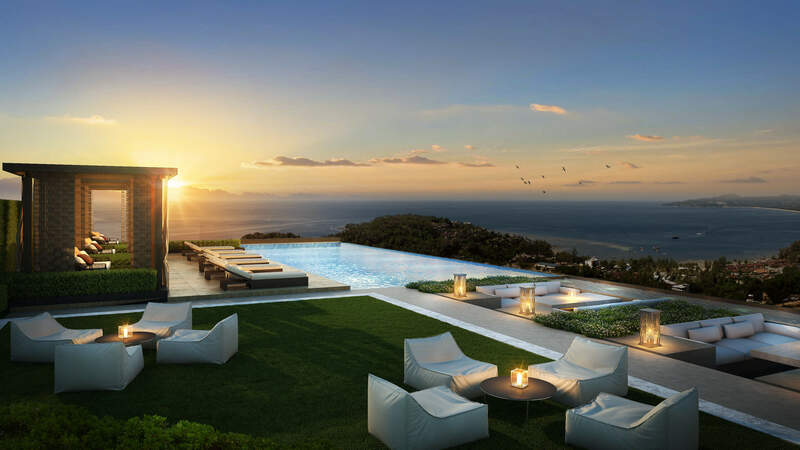 For the ultimate in luxury, there are also three-bedroom apartments available ranging from 106.7 – 167.2m2, which all come with private seaview pools. As can be expected from such a high-end development, buyers and residents have a wide range of quality facilities at their disposal. Guests here have a wide variety of swimming pools to choose from, including four rooftop infinity pools offering fabulous views over the ocean while swimming, together with roof terraces, plus an additional two large pools at ground level. There is also an on-site fitness centre, saunas, a first-class spa centre, library and an on-site restaurant offering five-star international dining. 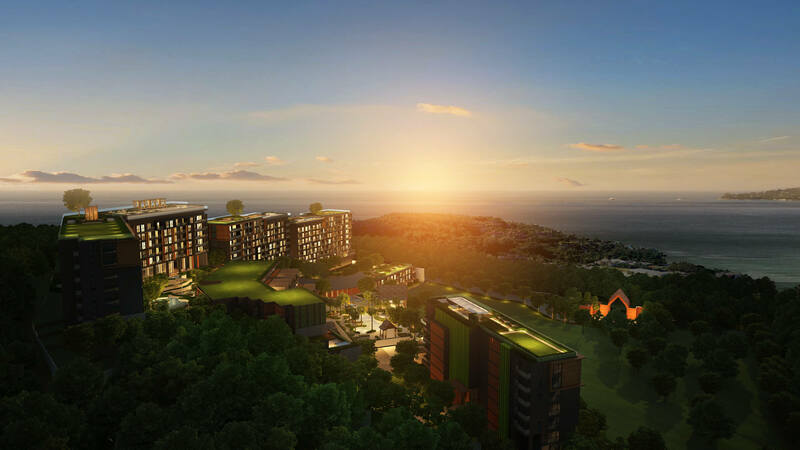 For investors looking to achieve rental revenue from their apartments, the co-developer of the project is the MIDA Group, which is one of Thailand’s most experienced developers, having developed 27 projects to date and the group is also one of Thailand’s leading hotel management companies. MIDA Hotels & Resorts currently operates nine hotels throughout Thailand, including the Radisson Blu in Hua Hin. The company’s expertise allows all buyers here the option of enrolling into the developer’s optional Guaranteed Rental Scheme, which offers investors the opportunity of earning a 7% Guaranteed Rental Return for a period of three years. Thereafter they can enter the project’s Rental Pool option, which gives investors a 70% share of all revenues earned from the apartment. Both options also offer 30 days’ personal usage, that can be split between high and low season.